+$There’s plenty for you to learn about photography from this bundle, no matter your level of expertise. +$Photography is a skill that is easy to learn but hard to master. Having a basic understanding of the art will go a long way, and you can always add new abilities. The Adobe KnowHow All-Inclusive Photography Bundle is here to turn you into an expert, and it’s+$on sale for just $64.99+$(approx £51). +$No matter your current level of experience as a photographer, you’ll find plenty of useful information in this huge bundle. It spans 13 courses and packs in over 65 hours of actionable content. 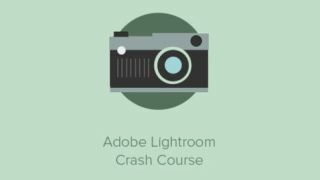 +$Whether you're interested in learning specific skills like snapping night shots, or hoping to dive into foundational information applicable to all types of photography, you’re sure to find what you're looking for in this bundle. +$With this great deal you can get the Adobe KnowHow All-Inclusive Photography Bundle+$on sale for just $64.99+$(approx £51). That's 93% off the full retail price for an essential collection of courses for anyone interested in photography, so get this deal today!